It is impossible to think about planning a trip to Europe without getting excited about the fantastic shopping that is available. European designers have that je ne sais quoi that makes the shopping experience so unique. During my last trip I discovered two of the nine Chic Outlet Shopping ® Villages, which offer savings of up to 60% (and sometimes more) off the recommended retail price, year round. The brands in these Villages include niche European names as well as leading fashion designers. 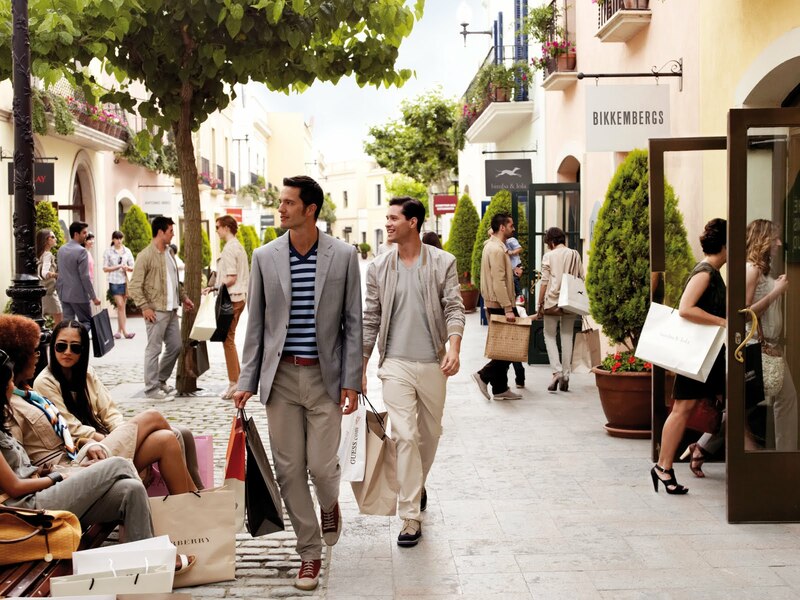 Bally, Belstaff, Calvin Klein Collection, Links, L’Occitane en Provence, Roberto Cavalli, Missoni, Mulberry, Penhaligon's, Pringle of Scotland, Smythson, The White Company, Thomas Pink, Vivienne Westwood, and Yves Saint Laurent are just a few of the boutiques you will find. The open-air Villages are located near some of Europe’s most iconic and popular LGBT gateway cities; I recently visited La Vallée Village near Paris and Milan’s Fidenza Village. Located less than an hour outside of Paris, and easily accessible by public transportation, La Vallée Village is home to some great names in design, including Paul Smith, Fred Perry, Diesel, Dsquared, Kenzo, Marithé + François Girbaud, Puma, Zadig & Voltaire, Maison Martin Margiela and Sandro. Milan may be known as the fashion capital of the world, but some of the best shopping is just an hour outside of the city center at Fidenza Village. The Village showcases an amazing array of designers in addition to the Vogue Talent Store, a concept boutique previewing the names to watch in fashion. Don’t miss the enticing Obikà – a unique dining experience inspired by Japanese sushi bars that features a menu centered on some of the finest Mozzarella di Buffala Campana. This month I’ll be heading to Madrid’s Las Rozas Village followed by London’s Bicester Village later this year. I’m probably going to need an extra piece of luggage – which isn’t a problem since the Villages feature top-name brands such as Tumi and Samsonite!